Mei is the beautiful and serious Student Council President, honor student, school chairman’s granddaughter, and now Yuzu’s younger step-sister (although the two of them are in the same grade and class together). She is stern, cold and composed, but has a short temper. Although greatly respected by the student body, she may on occasion act or speak cruelly. This trait, as well as the fact that Mei often makes sexual advances toward her simply to manipulate her, greatly frustrates Yuzu. 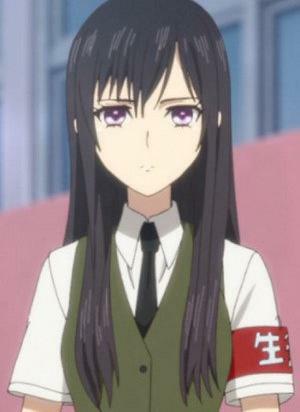 Mei was initially arranged to marry an elite teacher from her school, but Yuzu later discovered that he only intended to use her for her money and revealed his transgressions, leading to him leaving. As Yuzu gets to know her more, she is shown to be rather sensitive and lonely, which often stirs Yuzu’s protective side.